VRACHIA is located at the most popular beaches of lowland IA, in a garden next to the sea. It constitutes of two apartments and five studios. 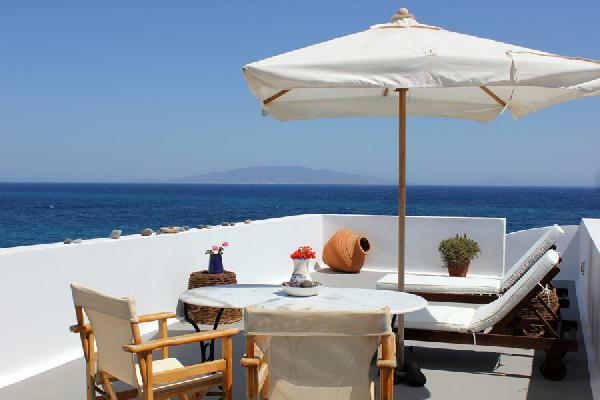 All the apartments are fully equipped and traditionally decorated, with the personal touch of the owner Evangelos Pagonis. He refurbished the traditional styled apartments with wooden furnish that he has constructed. Because of the independent balconies and entries you have a feeling of privacy. The daily service is an ideal setting for unforgettable vacations at the island of the volcano. As the sun meets the horizon and the pomegranate gives its place to the purple, there you enjoy the most famous sunset and the magic of Aegean. 8 kilometres from the Fira. Είστε ιδιοκτήτης ή διευθυντής στο VRACHIA; Εγγραφείτε τώρα για δωρεάν εργαλεία, που μπορείτε να χρησιμοποιήσετε για να βελτιώσετε την καταχώρησή σας και να συνδέσετε την ιστοσελίδα σας και το σύστημα κρατήσεών σας.